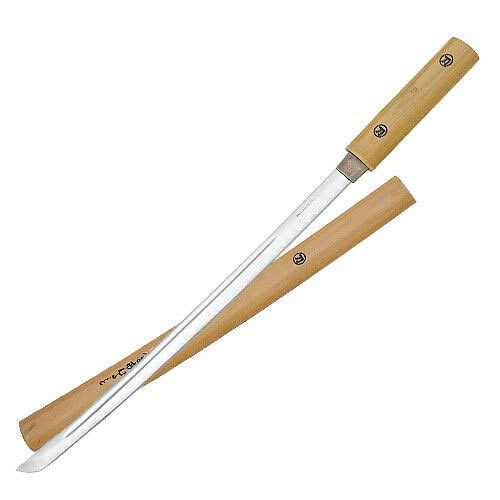 Tomahawk Wood Wakizashi Sword | BUDK.com - Knives & Swords At The Lowest Prices! For the ultimate disguised samurai sword, you've gotta have this wooden wakizashi. At first at looks like a harmless wooden dowel, but pull from both ends and unveil a 16" mirror-polished stainless steel blade with a blood groove down its length. Samurai lettering is shown on the side of the wooden handle and scabbard. At 23" overall length, its the perfect size to fit almost anywhere without being too large.